Ray-Ban products cannot be shipped to Australia per manufacturer's restrictions. Love them. High quality. Great fit. I was a little skeptical about ordering glasses online...but so glad that I did! My glasses were shipped quickly,beautiful and high quality. I would recommend FramesDirect to everyone. This is the second pair of RayBan frames I have purchased with progressive lenses. 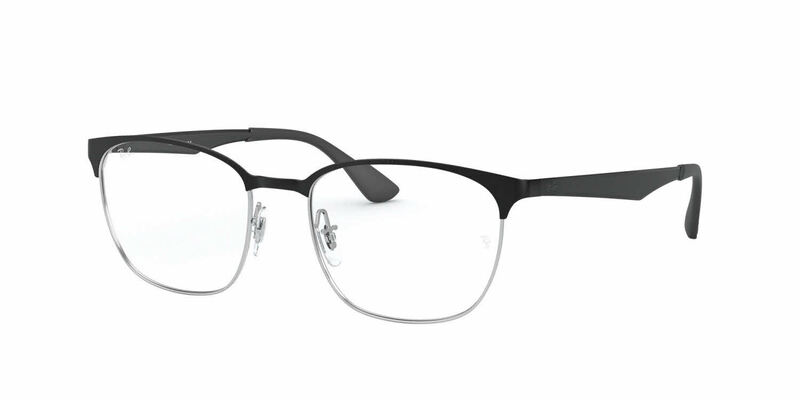 The thing I love about these glasses is that for progressive lenses, they provide enough vertical space to make a very comfortable viewing area. They are also light weight and super comfortable. I have another pair with transition lenses that I use for outdoor travel. The thing I love about buying all of my glasses from Frames Direct is that I am able to switch glasses without my eyes even noticing. I don't have to allow time for my eyes to adjust from one progressive lens to the next. I believe this is because the same laboratory is using the same technique to make the lenses. I highly recommend them! I am so glad I found FramesDirect.com, abundant in (designer) frames at affordable pricing! When viewing the details of a particular item, I found it extra helpful that there were similar selections suggested at the bottom right; this feature helped me find these frames with ease! I ordered the 50s of the Matte Black and Gold (2875) Ray Ban RX6356, I have had them for about 2 weeks now, and I am entirely pleased with my purchase. I love the detailing of these frames; the matte black and gold compliment so well, the subtle and defining logo at the temple, and the overall classic look is just what I was looking for. On top of that, what I spent in total is a fraction of the cost of what I would've paid at my optometrist’s office or optic retail store- and that's for a "similar" designer frame with lenses. Customer service was also prompt and helpful with the entire ordering process. I would certainly order again, I've already suggested this website to friends and family, and I highly suggest these particular frames!